Analyzing Data in the Cloud: Is True Privacy and Security Possible? Public clouds (AWS, GCP, Azure) provide unmatched infrastructure and scaling conveniences, but the reality is that they are systems that you don't own. Furthermore, third party SaaS services and data platforms require you to put your data in the hands of others. But surely, there must be modern architectural paradigms that sophisticated companies can use to manage their customers' data security and privacy in the cloud? 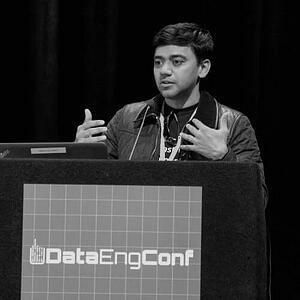 In this talk, Raghu will discuss his experience building central shared data infrastructure at companies like Yahoo and Facebook, and will translate those learnings into the architectural principles employed at Datacoral - a secure end-to-end data infrastructure as a service for building cloud-native data pipelines. He'll leave you with insights you can use to secure your own cloud-based systems.